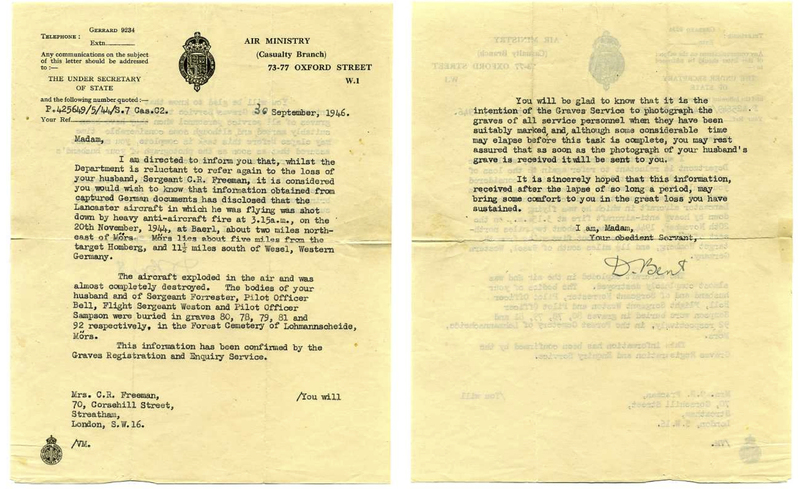 Many thank to Anthony for donating these series of documents. 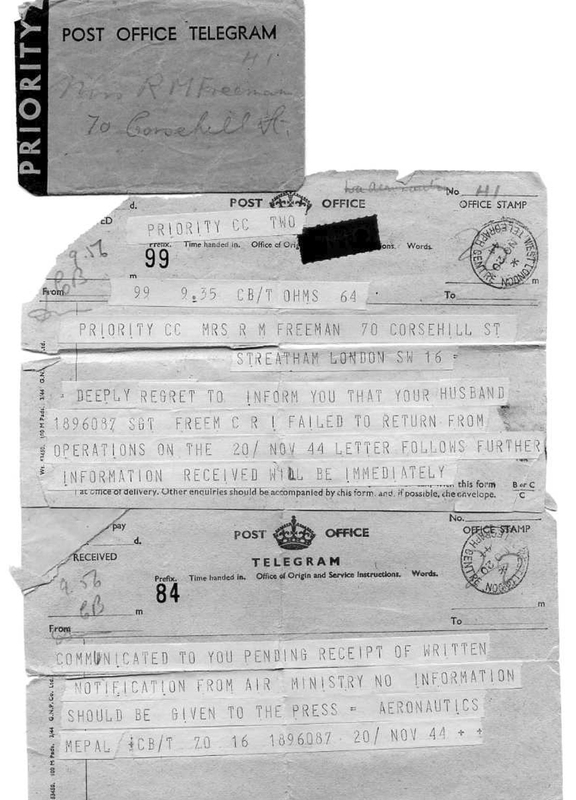 They begin with the telegram that every family feared to receive during the War, the telegram that said their loved one was ‘Missing’. 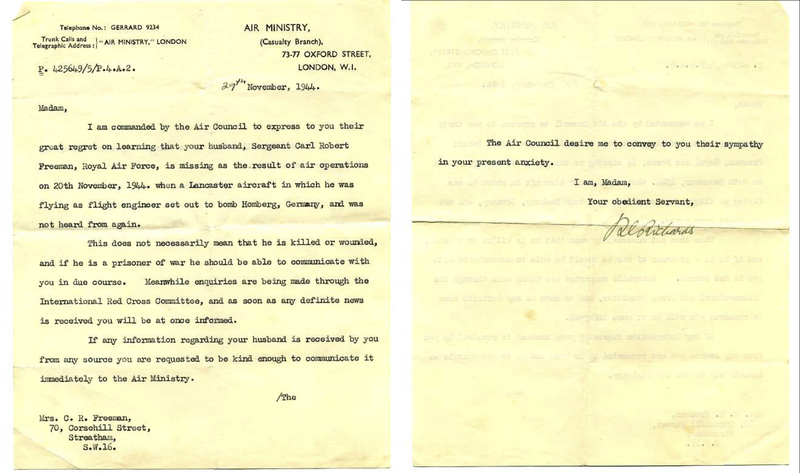 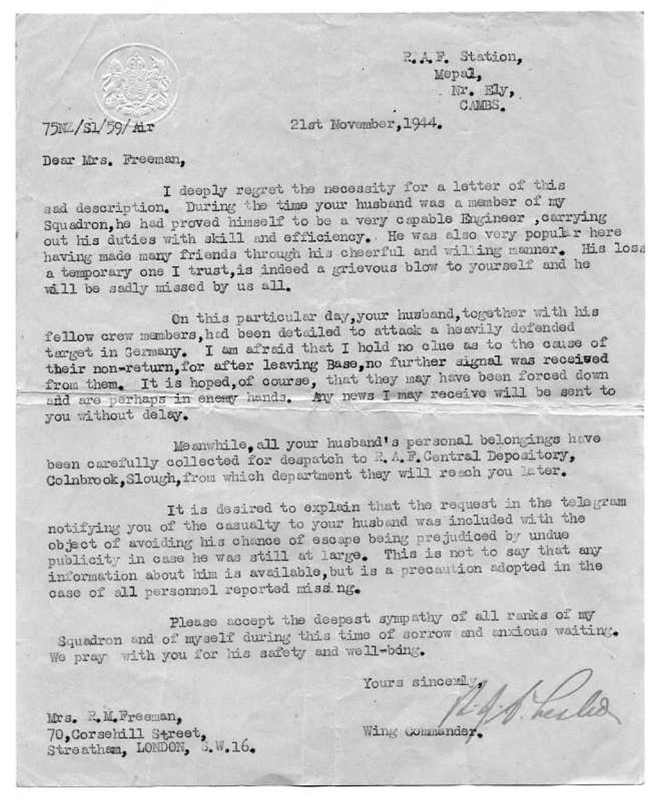 Similarly to the set of correspondence between the McCartin family and the Australian Air Ministry regarding the loss of their son, Leo McCartin (also lost on the 20th November 1944 to Homberg), the letters show simply by their dates, the heartbreaking period of time that elapsed between loss and rest. 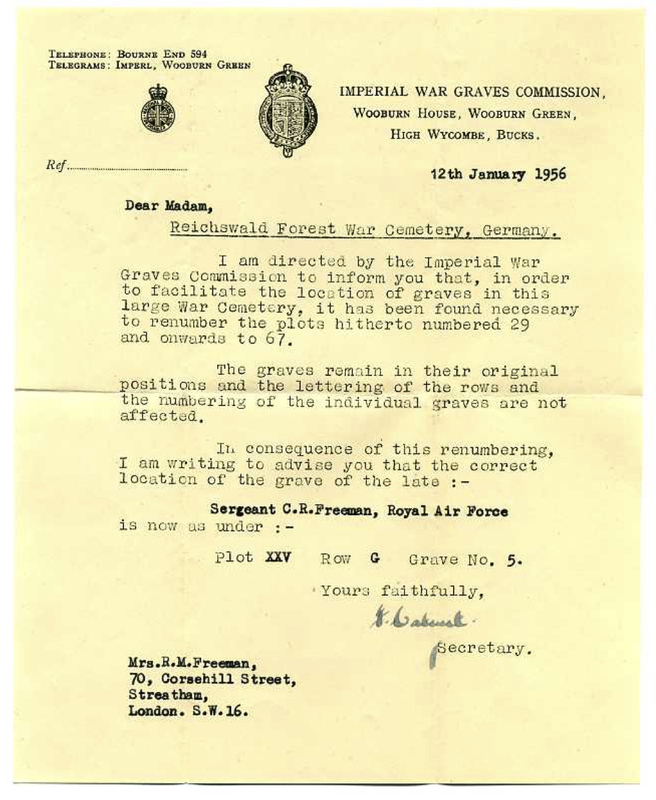 In this case 2 years before the details of the loss and deaths of the crew are confirmed and another 3 years before Bob’s final resting place is provided. 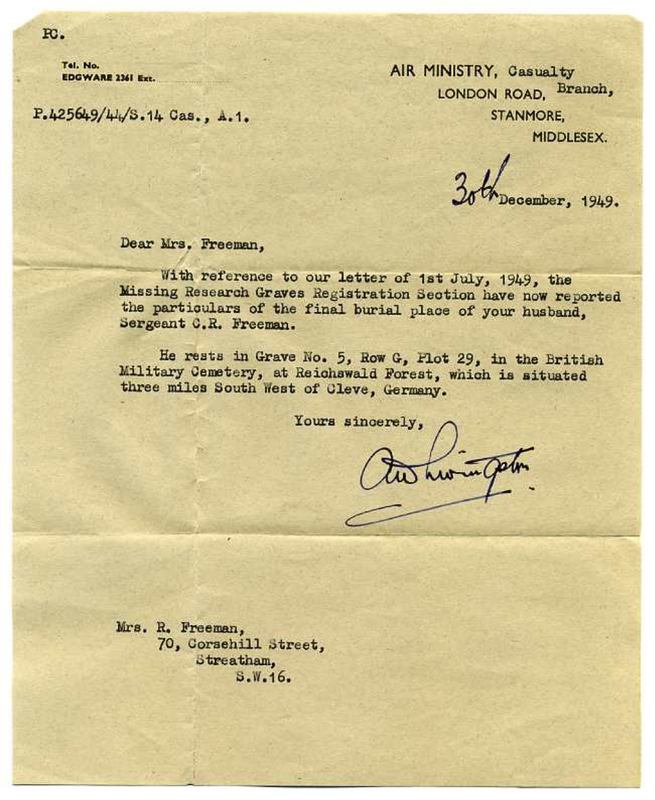 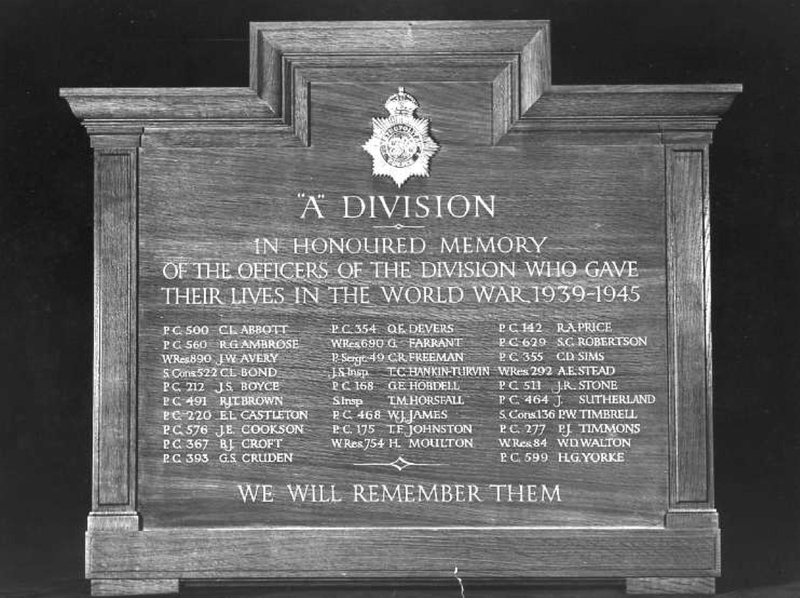 Additional to these letters are also a letter from Buckingham Palace and a picture of a London Metropolitan Police Memorial board, from ‘A’ Division. 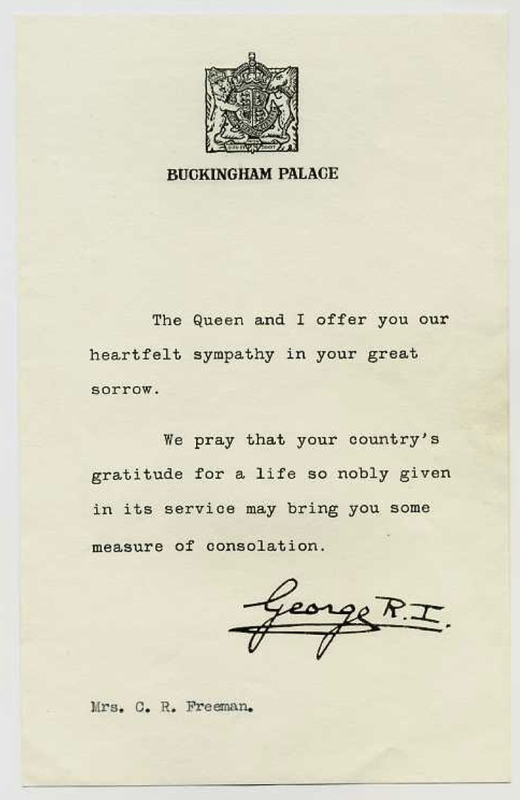 Before he enlisted, Bob was a Police Sergeant, his duties including security for Buckingham Palace.